March 30, 2016 theslowlaneme1 Comment on The Adventures of Anna Jones – Cinema Saturday! 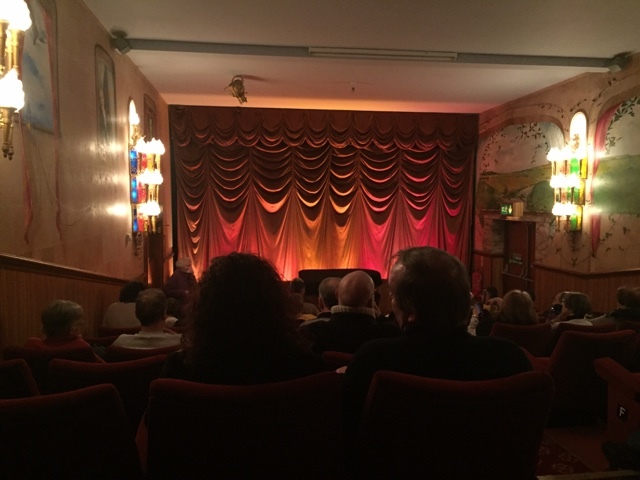 The Adventures of Anna Jones – Cinema Saturday! I am currently in the middle of yet another night of being unable to sleep. It baffles me that a human body can feel this poorly and exhausted and yet not be able to do the one thing that I feel it needs most: sleep. 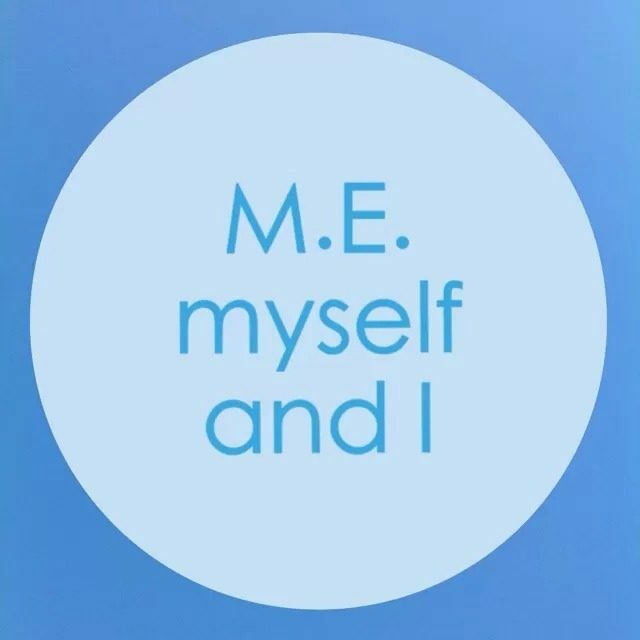 So I am fighting the tears of despair that I could so easily shed over this out-of-sorts body of mine and instead I am sharing one of my recent adventures! Earlier this month I did something I have not been able to do since being ill. I went to the cinema! You may be wondering why on earth such an event is ‘blog worthy’ so let me try to explain. Each of these symptoms make it incredibly hard to do something as ‘straightforward’ as sit in a large dark room full of people for a couple of hours and watch and listen to a film on a huge screen with the volume turned up very, very high. When those symptoms are combined it is practically impossible. You will (probably) know by now that I have seen incredible improvement in my health since my journey began in 2010, yet each of those symptoms (and many, many more) are still very much present. And so I dared to see whether I could manage a trip to the cinema or not. My £5 ear defenders from eBay! Mr Tree Surgeon was once again my right hand man. 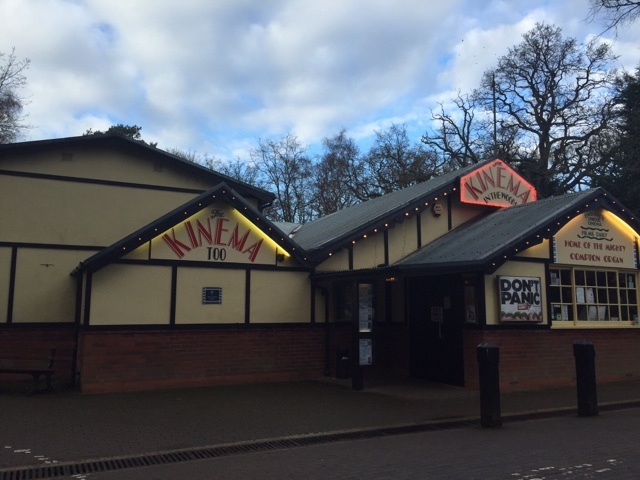 He drove me the short distance to The Kinema in the Woods and then wheeled me inside. Saving the energy I would have used up by walking meant I had a better chance of making it through the film without triggering the sensory overload. Well that’s the theory anyway. It was a drag-my-feet-along-the-floor kind of day anyway, as the rest of the audience saw when we navigated our way up the shallow steps verrrrrrrrry slowly to get to our seats. I was a little worried that I’d feel claustrophobic in there. But mindfulness meditation is a magical thing my friends! 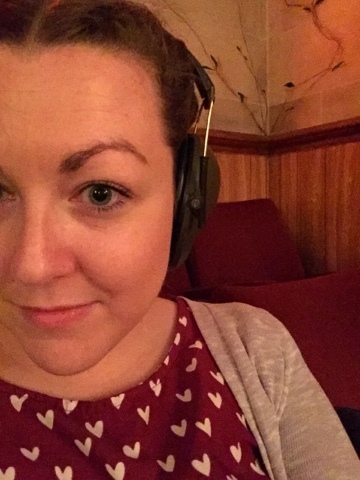 Ear defenders were essential! As were the mini eggs I consumed before the film had even started. Classic Anna. There was actually a short and very much welcome interval during the film (probably something that isn’t so welcome during films with thrilling plots!) and Mr Tree Surgeon helped me shuffle my way to the toilet. Peeing about a million times a day despite not drinking a lot is another symptom FYI. Processing the huge moving images on the screen left me so exhausted afterwards that I needed about 2 hours of Purple Time (rest with no stimulus whatsoever) and nearly fell asleep; something I never let myself do during the day because it actually leaves me feeling so much worse. Ridiculously so! Marking and celebrating yet another milestone is incredible. My body is still so in edi broken, right down to the cells, but with patience we at working as a team to tick off things from The Oist Of Things I Never Thought I’d Be Able To Do Again. So I went to the cinema? Big deal? Yes actually. The biggest. It’s nothing I could even manage every month but to have managed it once in six years made me cry happy tears during the film. I couldn’t believe I was there! And that I didn’t have to leave early! My dreams are coming true. And I still love Dad’s Army!